Juliet Travers | The Decor Cafe | Interiors. Gardens. Lifestyle. Home business. 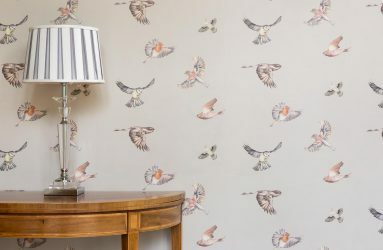 Juliet Travers is best known for her beautiful hand drawn wallpaper designs, printed using the highest quality manufacturing process to produce a stunning product as exquisite as a hand painted mural. a: Hampshire. UK. Samples can be sent anywhere. 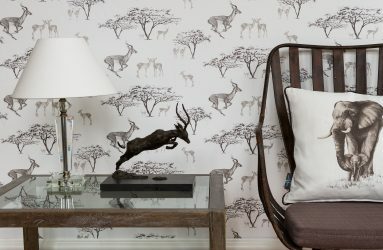 Juliet fused together her passion for wildlife, fine art and interiors, to create a range of wallpapers and fabrics that transform your space with a work of art. Each collection focuses on animals from different parts of the world. 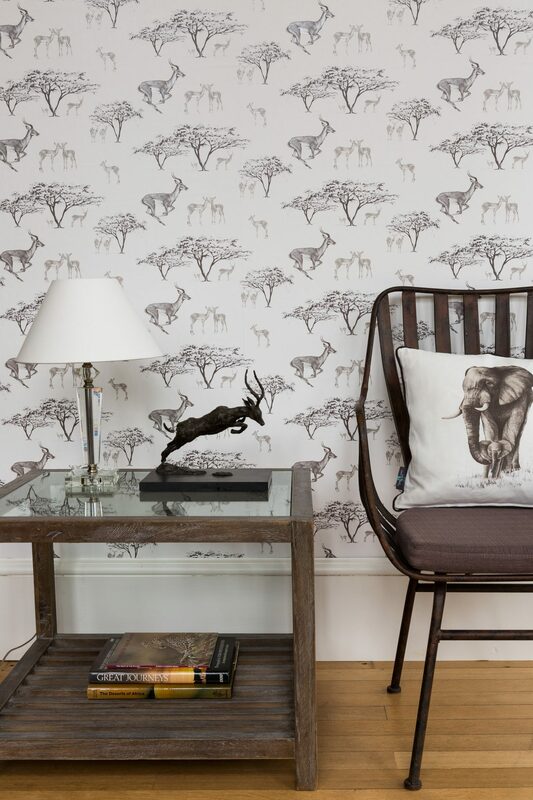 The Safari range takes you on a journey through East Africa and the Albion designs include iconic wildlife from around the British Isles. They are a completely British brand as all designs are hand drawn by Juliet and the full range of products are printed and made in England. 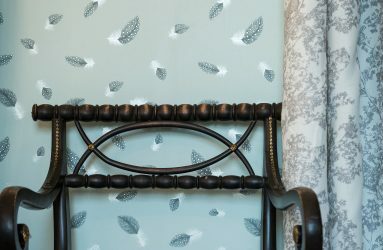 The fabrics and cushions are digitally printed on fine linen and the wallpapers made using the gravure technique, which is a world-class printing method for achieving maximum detail and tone. This is the only process that can capture the detail from Juliet’s original drawings and recreate the same quality of line work during production. In 2017, they expanded their product range to a brand new line of stationery to match their wallpapers and fabrics. They now offer luxury wrapping paper and corresponding cards as well as fabric covered notebooks. A selection of limited edition prints of Juliet’s original drawings from all designs and collections are also available. In a world of fast fashion, we love beautiful, original designs that are crafted to the highest quality and will make a real difference to the look and feel of your home and be enjoyed for generations to come. 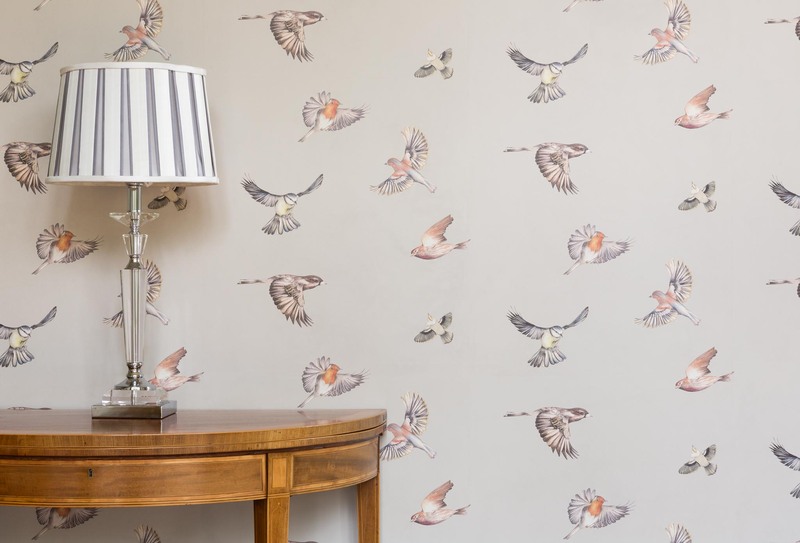 After graduating in 2009, she gained valuable experience with companies such as Fox Linton, Cole and Son and Colefax and Fowler and de Gournay, which gave her a wide insight into the interior design, furnishings and business world. With strong family ties to Zimbabwe and Tanzania Juliet’s launched “Safari” as her debut collection. 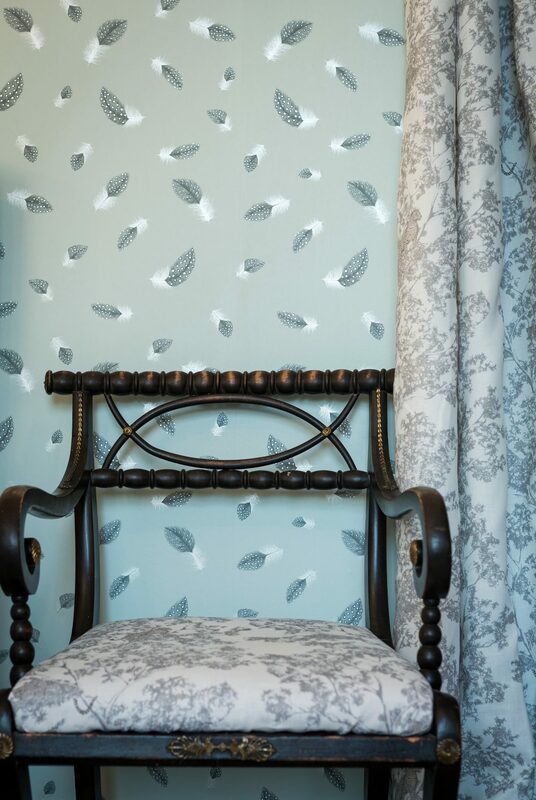 Her beautiful, original designs immediately caught the eye of many leading interiors experts and her wallpapers and fabrics are stocked all over the world. 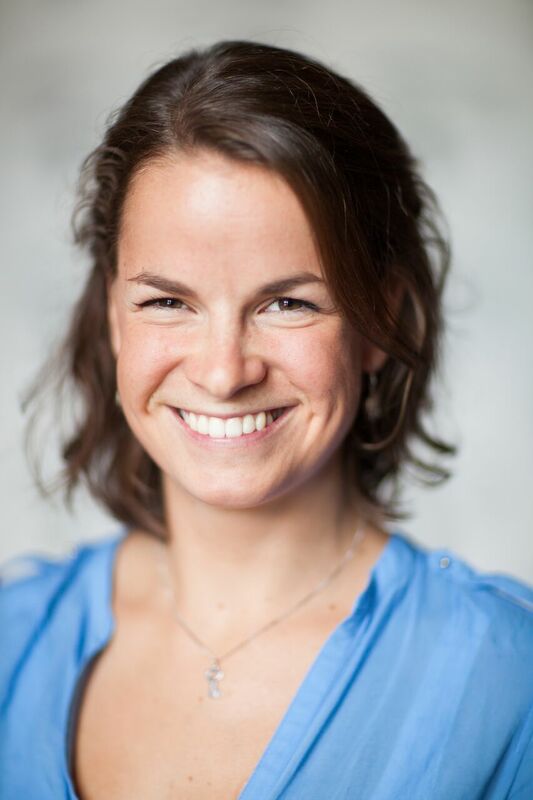 Please visit Juliet’s website to explore the full range.